Tonight I have for you some photos and thoughts on the second shade from the Wet N Wild Spring Into The Wild Collection which was recently released. Find my post for the first shade Kiss My Mints here. Now let's talk about this shade which is called Layout in Lavender. This shade really surprised me. I was expecting a brighter, pastel lavender which didn't really excite me because again, pastel shades don't look the best on my skintone. But Layout In Lavender is more of a dusty lavender that is super wearable and looks so beautiful on, I can see myself wearing this over and over again. I don't mind bright polishes, I am a huge fan of coral polishes and other bright shades, but pastels and neons do not look good on me at all. Layout in Lavender is so beautiful, it is a lavender shade so it's perfect for Spring but it's a lavender that is not too young or garish. If you looked at the Wet n Wild Spring Into The Wild display and though that the polishes were way too pastel, young or bright for you, this polish might be worth a second look. For $1.99 Wet n Wild Megalast Polishes are such a great deal. I do hear a lot of people talk about instant chipping and bad quality, but I can wear these polishes for up to 2 weeks without chipping, so for me they are a definite go. 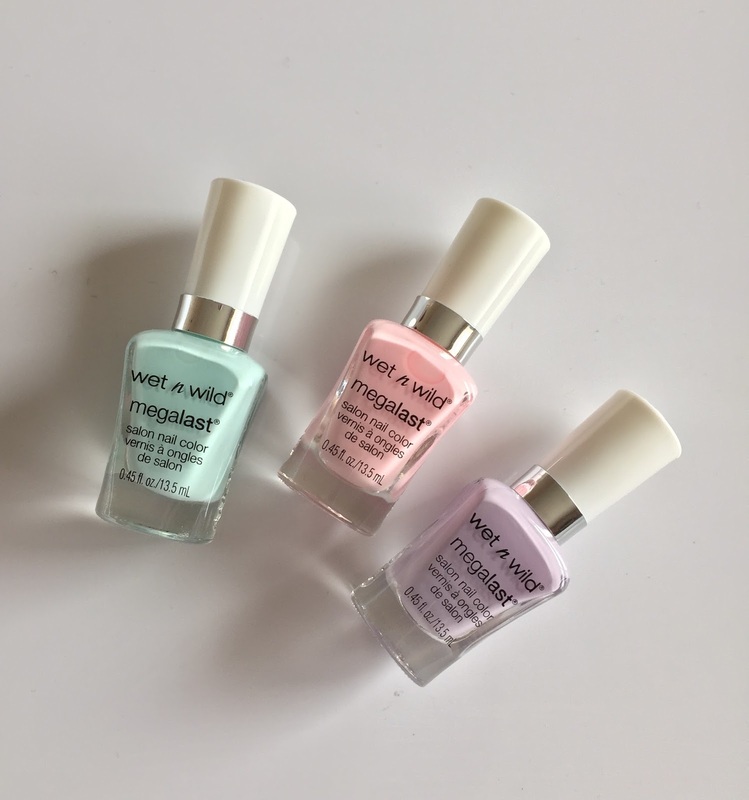 I hope to be back in a few days with the remaining polish (the pink one) and until then I would love to know what you think of this 4-piece Spring collection from Wet N Wild. FYI: I do not have the 4th shade because that was a repeat from last year and I already had that so I returned the new one.